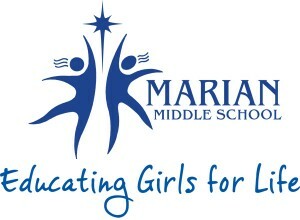 Marian Middle School is a Catholic school dedicated to serving adolescent girls of all religious, racial and ethnic backgrounds. Founded in 1999 by seven women’s religious orders and a group of dedicated laywomen, students experience a rigorous academic schedule based on a proven educational model. The curriculum is designed to develop the critical thinking, leadership, moral framework, and life skills necessary to help them complete a college education. The school’s success is highly dependent upon the generosity of donors to meet its annual operating budget. Marian Middle School families commit to supporting students based on their financial capacity, typically $400 per year. Ninety percent of Marian’s students qualify for the Federally funded school lunch program, typically reserved for households at or near the poverty line. However, the actual cost of educating a Marian student is more than $12,000 annually. Donors were the primary target market for this project. This group is vital to the continued operational mission of the school, as well as the primary source of any additional funding that will further enhance the school’s infrastructure, services and overall mission. -Create a brand identity and tagline for the school that will embody the institution’s mission. -Communicate the life-long mentoring relationship the school develops with each of its students. -Continually reinforce with donors, stakeholders, students, staff and alumnae throughout the St. Louis community, as well as regionally and nationally, the mission of Marian Middle School. The school enlisted Schumacher Creative to develop a tagline for the school to communicate the organization’s mission to its donor base, create an emotional tie to the organization with this target group, and incorporate an outcome that would resonate with the organization’s stakeholders. The tagline was added to all of the school’s development materials, its website, donor communications and its primary marketing brochure. A redesign and re-write of the school’s primary development brochure was also completed, supporting the new brand architecture and key messages woven into the tagline. The school’s media materials were also revised.